Holiday apartment for shortterm renting (minimum 3 nights), a few minutes walk from the center of the lively village of PINOSO. Within walking distance of bars, restaurants and shops. At 3 quarter drive from Alicante airport. 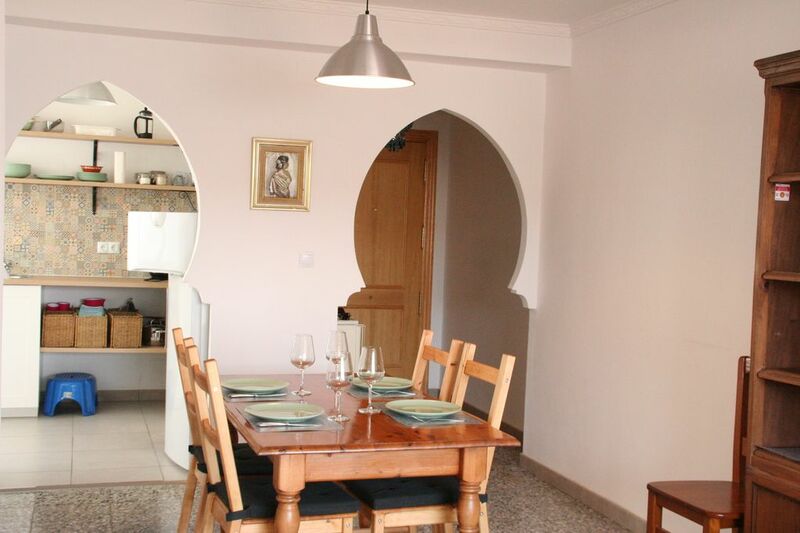 The apartment consists of three bedrooms, two with double bed and one with single bed, bathroom, fully equipped kitchen (oven, washing machine, refrigerator, Nespresso coffee machine), TV, Internet, terrace, free WIFI. *electricity until 100 kWh/week is included, everything above will be charged to 0.25€ per kWh and deducted from the deposit. For longtime rent please ask for price. Pinoso is known for its marble quarries, bodegas and some good restaurants (Pere y Pepa with Michelin listing and one of Spain's best paella restaurants), sports center with outdoor pool.